Joanna Ryde has been performing in venues throughout Ireland for the past 12 years and has held a number of high-profile residencies. 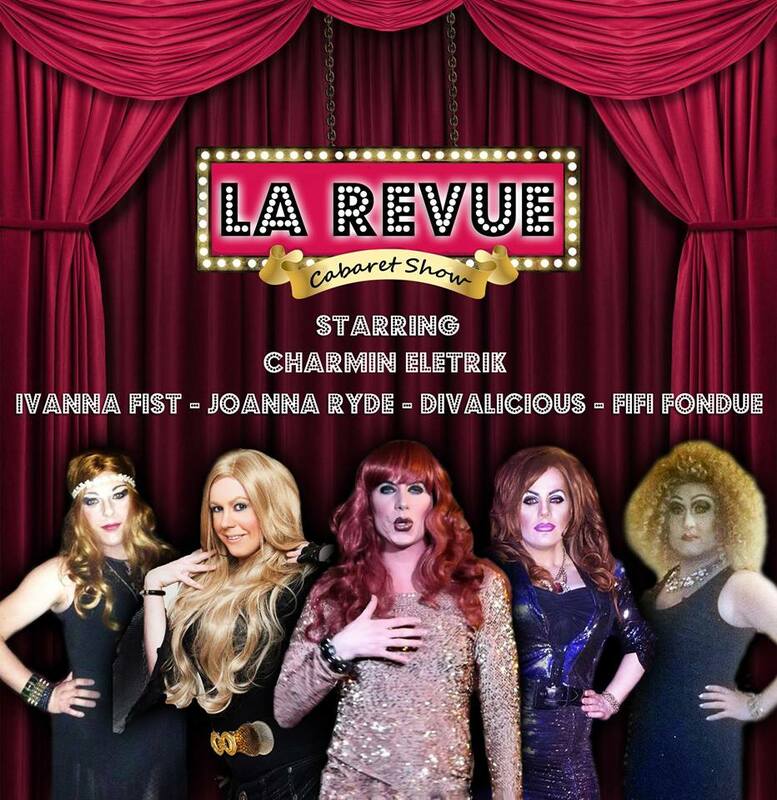 Her live shows have become legendary for their mix of banter, comedy and live singing, both alone and as part of the La Revue Cabaret Show. Her unique form of drag has won her plaudits, awards and the prestigious Alternative Miss Ireland title. Her experience includes TV work, a popular radio feature, a newspaper column and a book, not to mention a huge online presence. If you would like to book Joanna for a performance, event hosting or DJ set, please visit the contact page or use the form to the right. Alternatively, you can book Joanna as part of the La Revue Cabaret Show by visiting here.